Welcome to the future of home vaporizing. 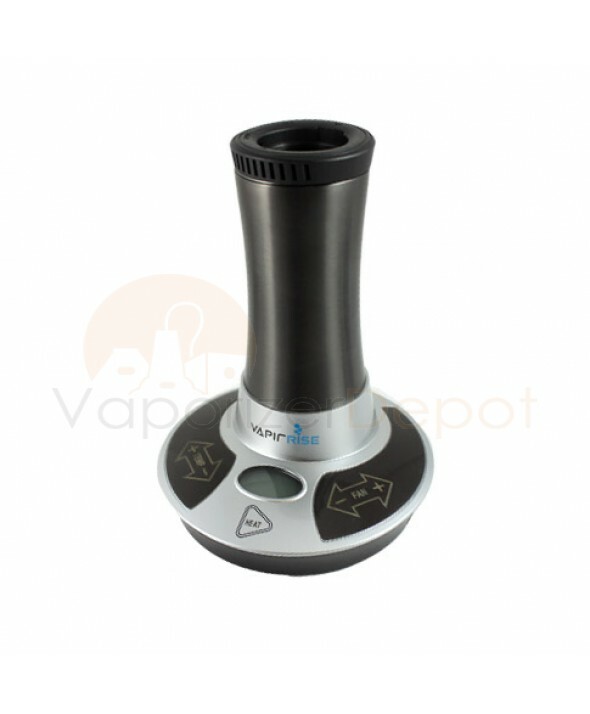 Industry giants Vapir have reinvented the wheel with their newest plug-in vaporizer, the VapirRise. Featuring a fast heat-up time and an easy-to-read LED display, the VapirRise is by far the most versatile, intuitive and healthy material vaporizer ever produced. 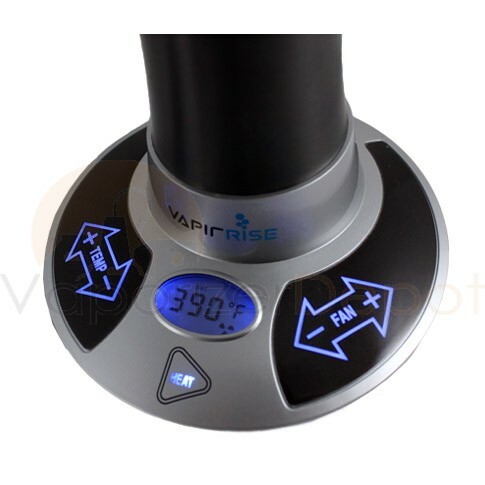 The VapirRise is capable of vaporizing as high as 410F and can reach any desired temperature in less than 90 seconds. The clouds it produces are incredibly thick and flavorful, so you can really taste the essence of your plant material. 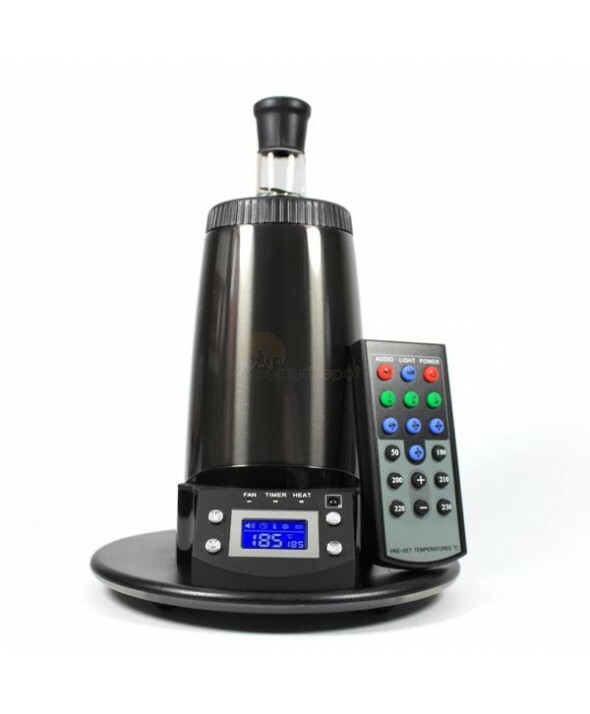 Many people have actually switched from using a Volcano Vaporizer to the VapirRise because of the consistency and smoothness in each inhalation. 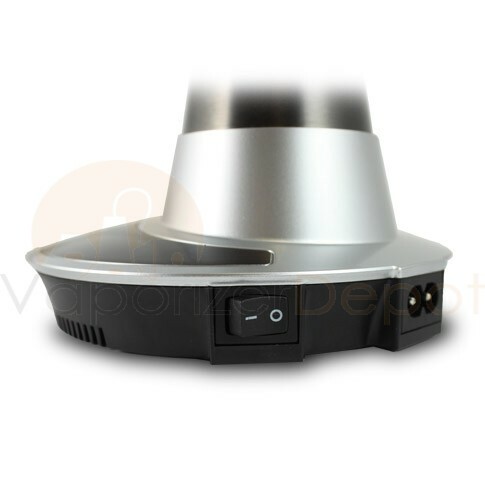 This vapor quality is achieved thanks to the powerful yet whisper-quiet fan, ceramic heating element, and HEPA air filter, a feature unique to the Rise and the Rise alone. 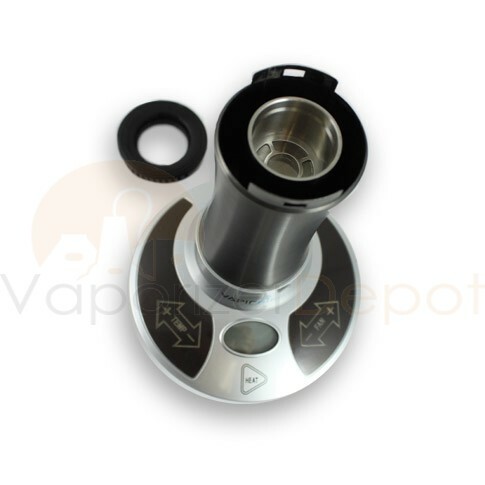 There are 9 different fan settings so you can adjust and identify the ideal vapor production for your lungs. With the VapirRise, you can customize your aromatherapy experience to your personal preferences. Whether you prefer to use a balloon bag or a whip system, the VapirRise excels in both delivery methods. 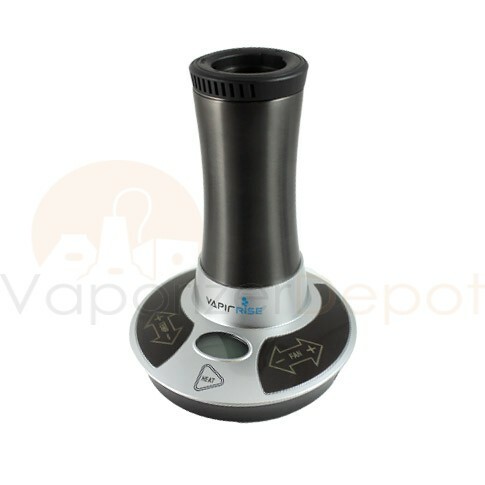 What’s more, Vapir has pioneered a multi-user adapter, a never-before-seen accessory in vaporizer universe, which allows for up to 4 people to have their own whip. This “party” mode or “hookah” function was conceived in the interest of maximizing health benefits for users who wish to keep their germs to themselves. And if that weren’t enough, you can also turn your VapirRise into a traditional diffuser to fumigate or simply add fragrance to a room using an aromatherapy oil chamber. 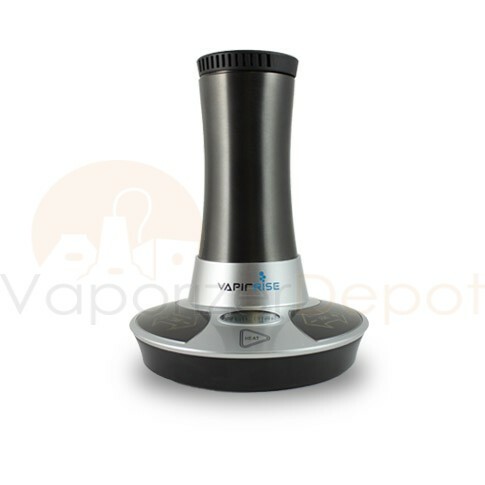 There are so many options with the VapirRise, you’ll never need another desktop vaporizer! It's party time, call all your friends and break out the whips! I live with a few roommates and we all like to vape our dry blends but fighting for a spot next to the Silver Surfer was getting old so we decided to pool are funds and get the Rise. 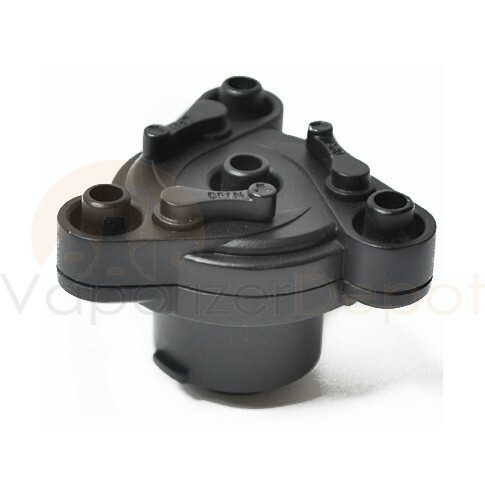 It was an instant success and made vaping a ton of fun, the four whip attachment is awesome. There is also little switches so you can turn hoses on and off easily if someone gets up and leaves the session. I would recommend not filling the herb chamber all the way up, I find that I get the thickest vapor from filling the chamber about 1/3 of the way. The only thing I would like to see Vapir add to the Rise is a glass water pipe attachment. Let me start by saying how awesome this thing is. It can pretty much do just about anything. It can be used with the balloon bag and the whip style. It's like if you combined a Volcano with a Silver Surfer together as one. 9 different fan setting AND a multi whip adapter that allows up to 4 people to draw from a whip simultaneously. I've never seen another vape that can do that. The versatility of this vape makes it one of a kind. Extremely unique and highly recommended! I got one of these during a promotional sale that was going on a little while back. It heats up super quick and the fan makes inhaling effortless. I noticed a lot of other units only have a few heat settings, but this one has 8 or 9. The fan is nice and quiet, too. I love using this for my dry herbs, but I can't quite figure out how to get it to work well with my e-juices. Overall, I definitely like and recommend this vape. It's a great center piece for coffee table, too! I ordered one of these after my Extreme Q died out. The Extreme Q is a good unit, but I was looking for something new. The multi-whip adapter is perfect for when my buddies come over to watch sports. Definitely a party favorite at my house.